This soup is outstanding. I got the recipe from Williams Sonoma. I pretty much followed the recipe but used far less oil then they called for. Not only is this soup super delicious, but it is also very healthy because there’s no cream involved. 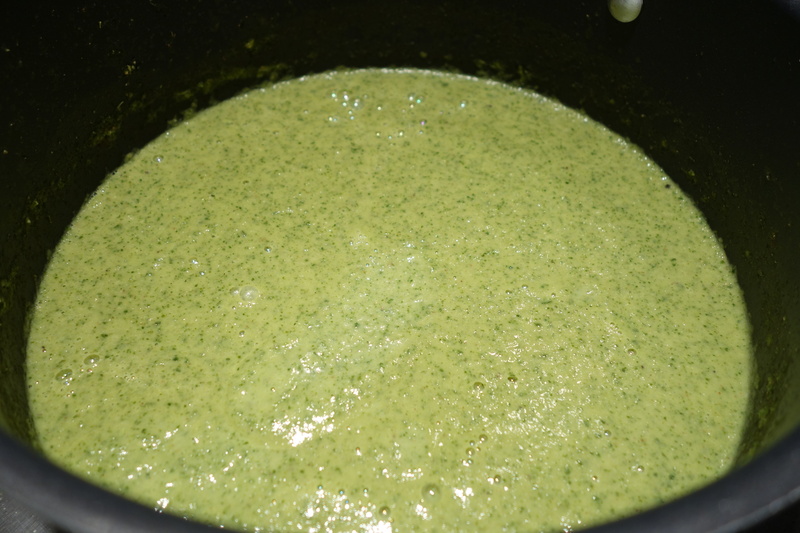 The cauliflower, when mixed using a blender, really thickens the soup. The Williams Sonoma recipe calls for chicken or vegetable broth, but I used some home-made beef broth. I think the broth went a long way in giving the soup its comfort food taste. 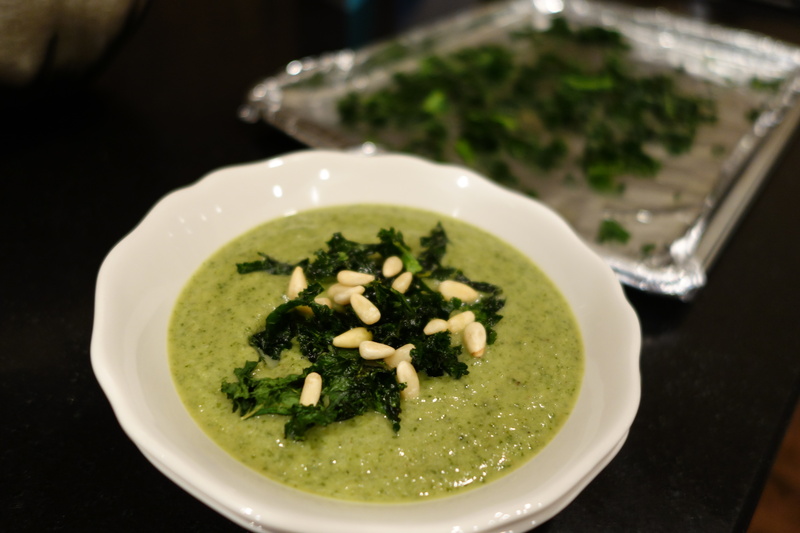 I served the soup with crispy kale and pine nuts just as the recipe had suggested. YUM! Totally making this asap. This entry was posted on October 24, 2013 by natalyaperullo in Food and tagged broth, cauliflower, cauliflower soup, Cooking, kale, roasted cauliflower, roasted kale, Soup, Soup & Stew, Williams Sonoma.